A Family is Ready to Buy in Finksburg, Maryland! Are You Thinking of Selling? A Family is Ready to Buy in Finksburg, Maryland! 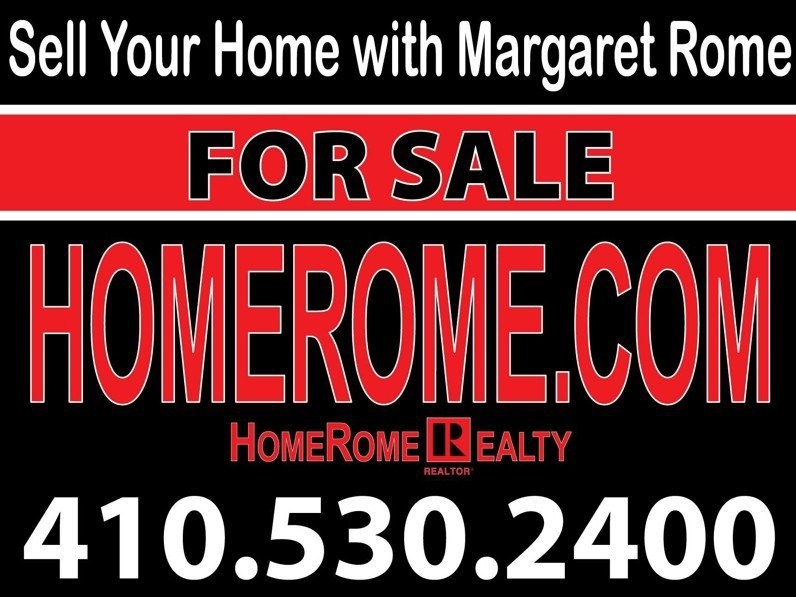 Are you thinking of selling your home in Carroll County Maryland ? 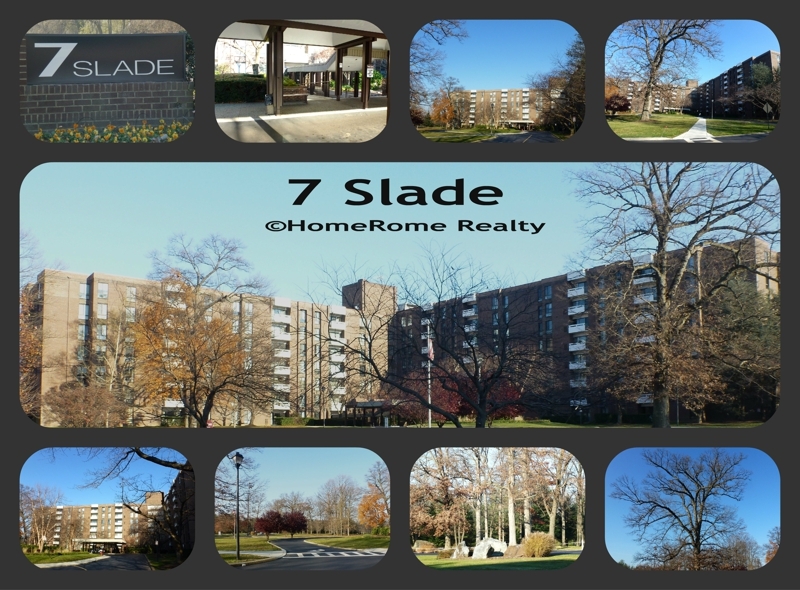 If you are thinking of selling, I have the buyer! I am working with a family who would like for their children to grow up in Carroll County. They are looking for a single family home with four bedrooms in the Finksburg area of Carroll County. They would like at least a quarter acre lot, a walk out lower level, a 2 car garage and they prefer natural gas. Minimum 4 bedrooms and 2 baths... a must. An immediate settlement is possible. One of my favorite things is the ACC Craft show right here in Baltimore. I don't think I have ever missed one of these shows and today was no exception. My friend, Anne Hruby, and I walked for almost four hours and still did not see the entire show. It was a wonderful day and there is still time for you to visit Saturday and Sunday. 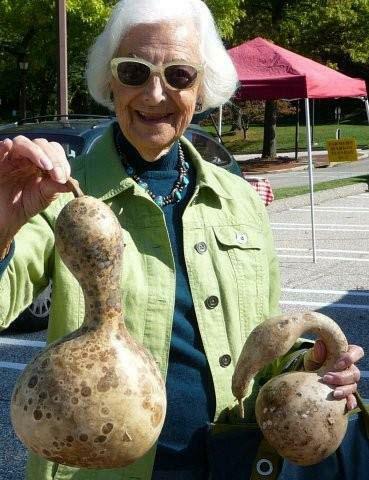 Below are some of my previous visits to this fine craft show. Hope you can take a few hours to enjoy this beautiful selection made by talented artists. 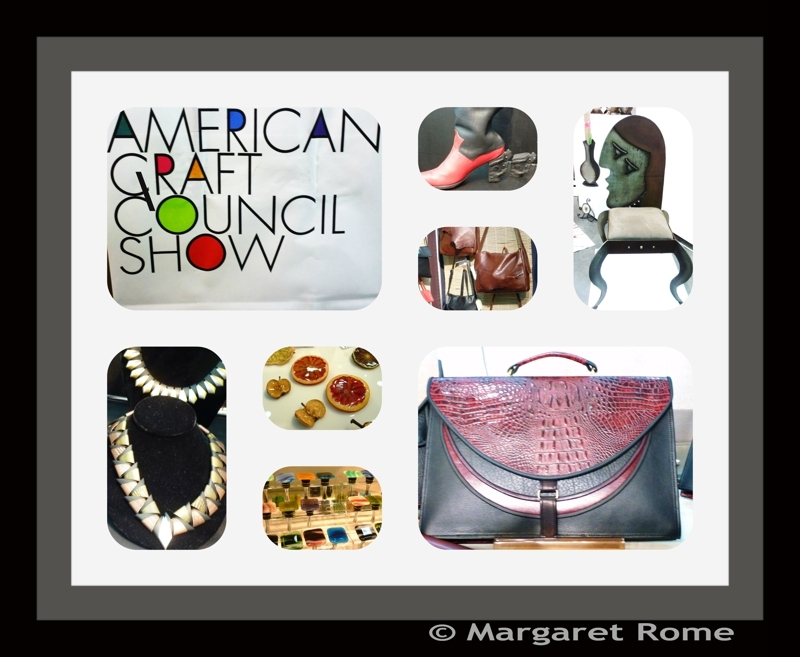 The items can be found in many forms including jewelry, metal, wood, fabric, weaving, glass, ceramic, wearable art, furniture and leather. Below are some of my previous visits to this fine craft show. Today We Said a Final Farewell to a Friend. A few months before Irene went to New York, we spent a lovely afternoon together. We had lunch and visited the weekly Farmer's market. 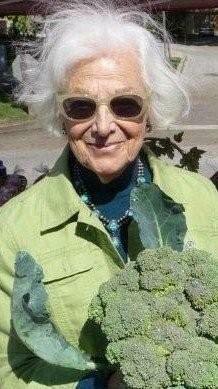 You can see by the photos the fun we were having with artistic gourds and broccoli bouquets. I wrote about Irene's New York Adventure and her move from Baltimore. We knew each other as friends and as fellow artists. 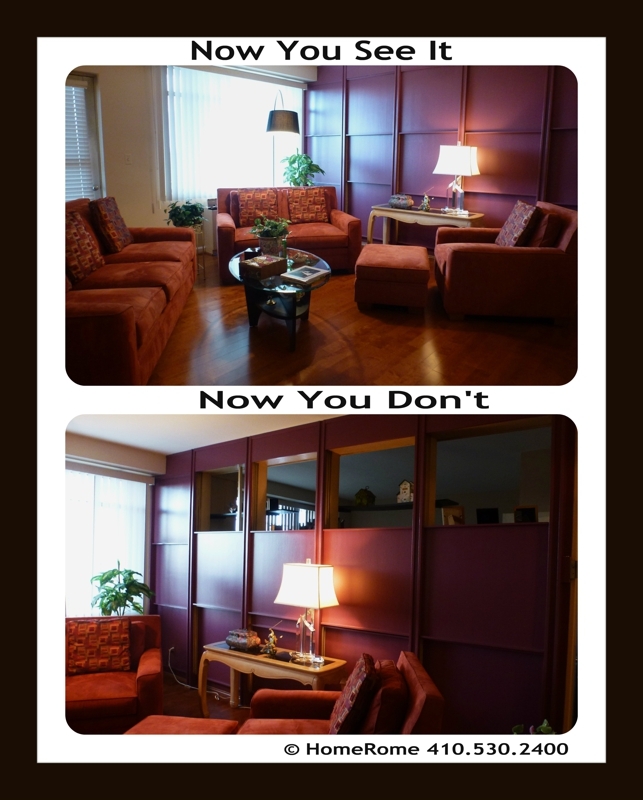 Years ago I helped sell her contemporary ranch home and found the perfect condo. Both homes showed the beauty that this artist brought to everything she touched. We met through our artwork - we once did a show together. On the coffee table are two of Irene's sculptures and my porcelain bowl. 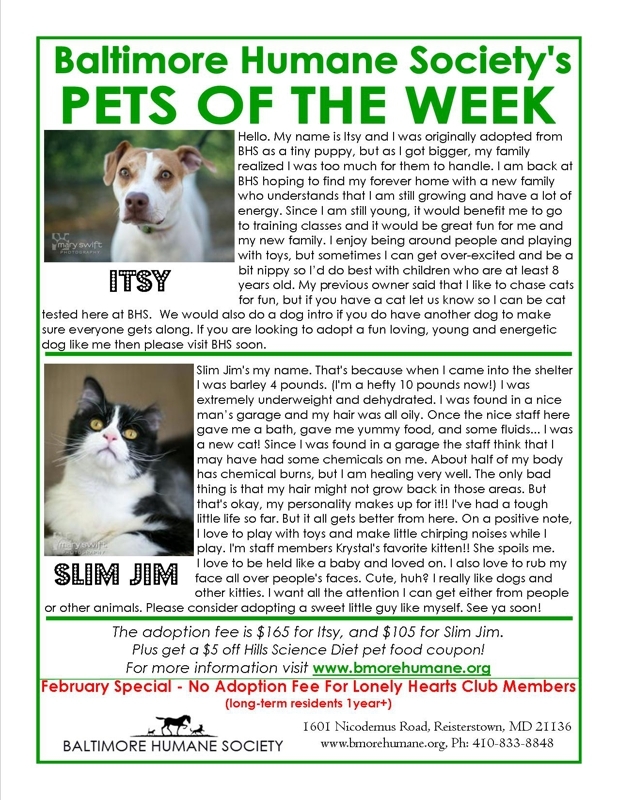 Would you consider adopting Itsy and Slim Jim? 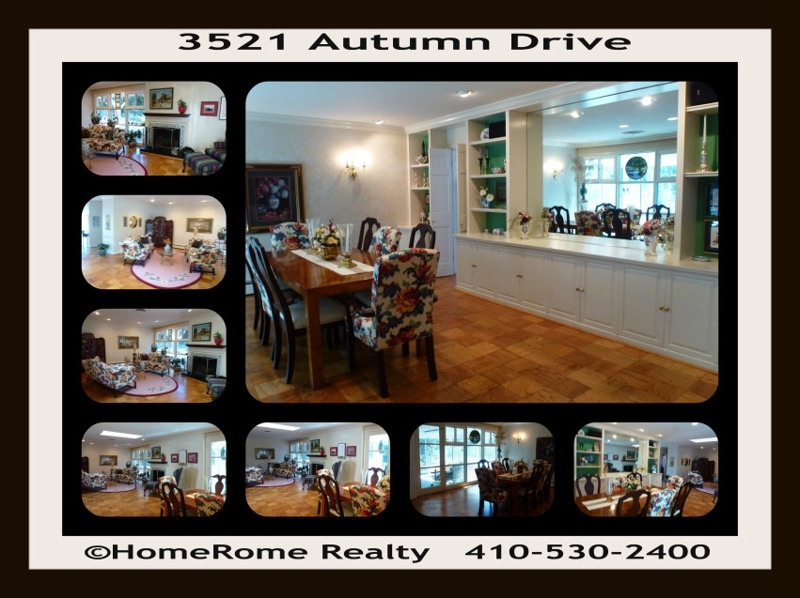 As a Realtor® and Broker in Baltimore, I am used to Finding Homes For Baltimore Buyers. Now I am looking for another kind of home. Do you have room for either one? Please help the Baltimore Humane Society find them homes. It was built in 1924, has four large bedrooms, has high ceilings, central air, warm gas heat, beautiful wood floors, a delightful Sun Room, slate roof, a modern kitchen with stone counters, loads of cabinet storage and gas cooking. There is a balcony off the master bedroom and a curved deck perfect for outside enjoyment. A basement has walk out access and is ready to finish and has loads of space. A single garage has a lift that now fits two cars. Charming is the way I describe my new listing and it is loaded with character! The Hunting Ridge Historic District is centered around Winans Way. The District is bounded on the north by Briarclift Road, which intersects Winans Way and bounded on the south by Edmondson Avenue. The western boundary is Hunting Place/Winans Way and the eastern boundary is Glen Allen Drive. Though primarily a residential area, the Edmondson Village Shopping Center was a major point in residential life. Businesses in the area included Anderson Foreign and Sports Cars dealership. Residential architecture in the district includes the Tudor, French Eclectic, Spanish Mission Revival, Colonial Revival and Cape Cod Colonial styles. The Hunting Ridge Historic District originally encompassed what is now Edmondson Heights, Rognel Heights, Ten Hills, Uplands and perhaps as far west as Rolling Road. The land for the District was originally owned by John Scutt in 1695. Scutt would eventually lose his land, having pieces bought up by such notable persons like John Bailey, Daniel Dulany, Benjamin Tasker, John Swan, Bernard Baker and John Cook. Once marked by large mansions and open expanses of land, the District today is a blend of several different styles of architecture. Not only does each home have its own unique style, many homes are themselves blends of different styles. The architectural styles add to the overall aesthetic and historical value of the District. Live Radio With Margaret Rome Sundays at Noon! I am proud to be the host of All About Real Estate at 12 noon on Sunday. Today's show was all planned. I was meeting my guest at the station but when he was 10 minutes late, I called and got this response. " Oh today is not going to work for me...let's do it another time." So This is Live Radio With Margaret Rome!!! No problem we will go to plan B. According to my friend Carra Riley you have to have a Plan A before you can have a Plan B .
I took a new listing yesterday and my seller called in to discuss her home at 701 Hunting Place in the Hunting Ridge neighborhood of Baltimore City. We had a lovely conversation and were able to tell the listening audience about this very special home. It was built in 1924, has four large bedrooms, has high ceilings, central air, warm gas heat, beautiful wood floors, a delightful Sun Room, slate roof and a modern kitchen with stone counters, loads of cabinet storage and gas cooking. 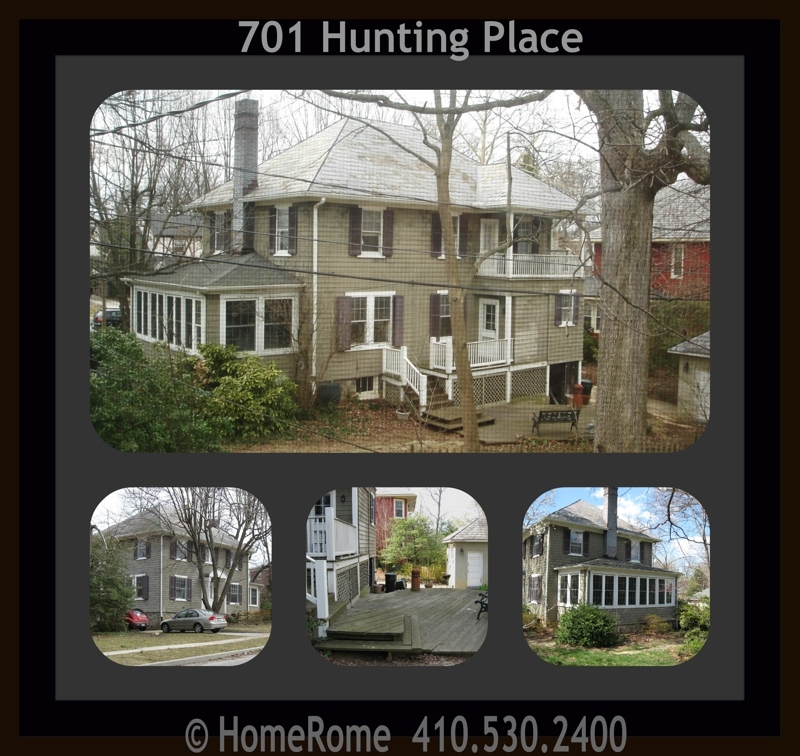 701 Hunting Place in the Hunting Ridge neighborhood of Baltimore City. When would you like to tour this charming home loaded with character? Lenn's post about getting into real estate, should be mandatory reading for anyone thinking about becoming an agent. Dozens of people have gotten their license after purchasing their own home. It really did not look that difficult and they saw the big commission at final settlement. Of all those people who went on and got their real estate license, only one or two have survived the first year. It was not the easy money they thought it would be. It is like ice skating..the smoothness on the ice reflects the level of skill. My background as a former Registered Nurse helps me and my clients deal with the stress of selling a home. There are many challenges taking a listing, marketing, showing the property, negotiating the offer, going through the inspections, appraisal, financing contingencie, title, walk through and final closing. It is like the post explaining the real estate mystery by Jason Crouch. It is a bit like ice skating. The better the skater the easier it looks! Those that do not glide with ease make it look like a difficult task! There have been numerous people who have gotten into real estate because it looked so easy...very few of them stayed. If you are serious about getting into real estate, do yourself a favor, go interview other agents, research what is involved and make sure you have the finances to carry you through for the first year. Recently read a blog suggesting we not let our clients buy us lunch. Sorry I don't remember the writer. Let me know so I can give him/her credit. I was invited to lunch by a client/friend who insisted it was going to be his treat. I graciously accepted but this was before I read that warning. Today was the day of my being treated to a gourmet lunch. 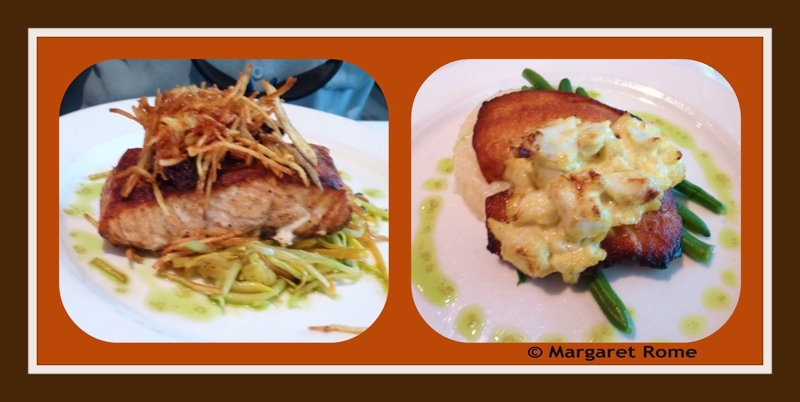 And it was elegant, delicious and most enjoyable. Good conversation and giving freely of my advice. However I was a bit worried if this was going to be the ''payoff'' the " thank you for all you have done but we don't need your services anymore" but that was not the case. The friendship is intact and another listing is forthcoming. So glad I didn't heed the advice..."Don't Let Them Buy You Lunch!" When would you like to tour this "forever" home? Living Room and Dining Room area is very spacious, open and bright. 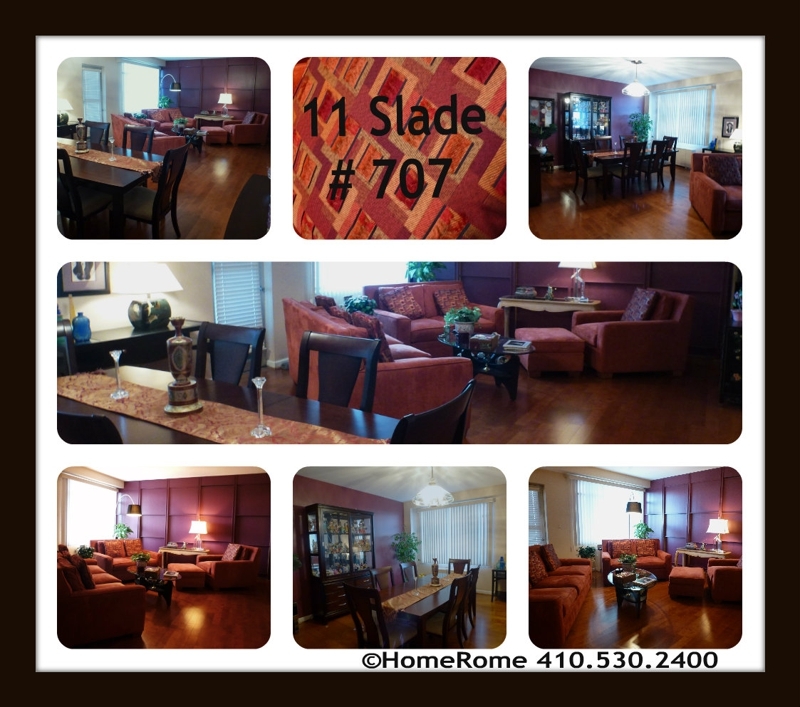 Look at the gleaming hardwood floors, skylight and beautiful buffet with lots of storage. The drawers are lined with pacific cloth for your finest tableware. Adjacent to the dining area is a large sunroom that brings the outdoors in and is the perfect place for entertaining and relaxing. But today I had a brilliant idea. Why wait? It is going to be crowded and loud and everyone will be rushed. So we decided it is Valentine's Eve and we called for reservations. What a delight! They even had beautiful Valentine flowers. The owner, Emilino Sanz and our very favorite maitre d', Paco, greeted us with warm handshakes, hugs and a kiss. Well why not? 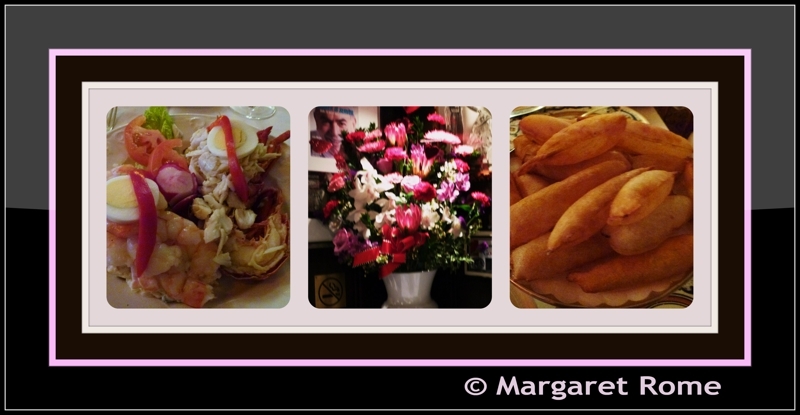 We have been going to Tio Pepe since it opened in 1969, the year after we were married. Our lunch was fantastic and we even shared a glass of sangria which we call Spanish Coca Cola. We both had the seafood salad platter...consisting of a lobster half... topped with lump crab meat, potato salad, topped with shrimp, sliced eggs, lettuce, tomato, pimento and a smooth creamy dressing served on the side. We were treated to a plate of puffed potato fries. Unit 707 is an elegant seventh floor Co-op that has two bedrooms and two baths and a clever design with movable wall panels. The Best Paycheck Is A Letter of Appreciation. I feel bad that I haven’t contacted you since the closing of my house a couple of weeks ago. Having read some of your blogs, at least I feel typical – in that, as you stated, there’s a period of mourning with the sale of a longtime family home. I suppose I haven’t totally moved on, as I am still getting adjusted to the new normal. One thing that hasn’t changed (nor do I expect it ever will) is my feeling for the way you handled the process with me. You were/are… wonderful! There were so many things I appreciated, but I will attest to anyone in your field of Real Estate – or any other industry, for that matter – that you are the example that others should follow. I could rattle off the little things (initiating and returning phone calls, e-mails, texts; meetings as required; being intensely involved when necessary; backing off a little (like at the beginning – when I needed to sort some things out); immediately having most of the answers to my questions; finding out the answers when you didn’t have them; making all the closing arrangements without any hitches (at least none visible to me). It’s somewhat impressive that you embrace new technologies – iphone/ipad blogging and texting, for example. What’s really impressive, though, is that you seamlessly use these technologies for the benefit of your clients, peers, or network associates – which ultimately benefits all! I think the thing I’m most impressed with, though, is your integrity, and work ethic. I know you’ve come to learn that, since I’m divorced, the two most important people in my life are my mom and daughter. Unfortunately, my mom is slipping away… I wanted my daughter with me when we met, and at as many meetings as possible, to give her a taste of how the realty process works. I’m glad I got you, and I’m glad my daughter got a chance to see you in action. Below are a few more of the best paychecks. Thank You Notes Are Not Just For Clients! A Thank You Note Is My Kind Of Pay Check! The show must go on but not tonight! This was our first visit in Baltimore's new Everyman Theatre. The play was August: Osage County and our tickets were for 7:30 tonight. This is a three act play with two intermissions...but not this evening. We had not gotten through the first act, when the show was halted, a call for medical personnel and then the announcement that the show would not resume this evening. One of the actors was taken to the hospital. Hoping the actor is doing well and best wishes for a speedy and complete recovery. The neighborhood of Long Meadow in Pikesville will see construction beginning in the next week. No longer will Autumn Drive be used as a short cut to avoid the traffic signal at Old Court Road and Park Heights Avenue. These barriers will be installed to prevent left turns on Autumn Drive from Stevenson Road and Park Heights Avenue. Reducing traffic through Long Meadow will, hopefully, insure the safety of walkers and children in this Baltimore County neighborhood. While lending my ear to a very hurt and unhappy agent about a situation regarding a "toxic" colleague, I was reminded of a time when I was wrongly accused. That was an awful feeling and before I learned I Don't Do Upset! ''You Can't Make Chicken Salad Out of Chicken Poop." I knew exactly what he meant and began smiling. My mood was immediately lifted. I made a vow that no one would ever make me feel that way again. To this day when I see or hear about that person, it brings a grin because I only remember the 'chicken salad' line and that happened more than twenty years ago. Can you relate to this situation? We have found the lucky buyer! Please watch the video showing the spirit of these children. Anita Rozenel-The Music Lady .
'' During Super Bowl week, John Hopkins Children's Center Child Life Closed Circuit TV filmed patients, families and staff celebrating and cheering on the Ravens as we prepare for Super Bowl XLVII. ESPN had requested a montage of this from Hopkins Childrens and also from San Francisco's children hospital. ESPN will feature very limited clips of this footage during their NFL Countdown show at 10 AM on Sunday. The network will feature 2 or 3 clips as the "open" for the show, for a feature showing how Baltimore is preparing for the Big Game. As you will see, there is a LOT of footage packed into a few minutes, from which to choose 2 or 3 clips.....more of the footage may be used at some point during of the 10AM-1PM NFL Countdown. Anita was invited to take part in the filming at Hopkins and "opens" the video with the first verse of one of the Ravens songs written by Sam and Anita for the first Ravens Rally at JCC pre-school two weeks ago. Today was all planned or so I thought. I was summoned to an all day jury service and we had theater tickets for tonight. My number for jury duty was too high so I was excused. Good news since I have a cold and a croupy cough..a nice day to take it easy. I exchanged tonight's tickets for next week. Just put on some sweats and was going to take it easy for the most part. A few items on my to do list included taking some documents downtown and a quick drive through at the bank. The bank teller could not use my driver's license because it was expired! It was a good thing TLH was driving me around for these errands. Checking my iPad, I found the Maryland Motor Vehicle Administration was located at 5425 Reisterstown Road and quite nearby. "Please note that the MVA's busiest days are ..... the first days of the month. Therefore, MVA strongly recommends that you plan your visit during the middle of the month. Mondays, Fridays, and Saturdays are high volume days at the MVA. Plan your visit on a Tuesday, Wednesday, or Thursday to minimize your time with us." It is February 1st and a Friday afternoon. We drove to the MVA at 4:20. It closes at 4:30. How lucky I made it in time. The place was full but they have to service everyone inside before closing. The wait, I was told, was at least an hour. I sent Lee home, got in line, got my ticket number and waited to hear my winning digit. Being the Friday before Super Bowl, there was lots of Raven's spirit and lots of purple. This is the attire of one of the employees. I wrote most of tonight's blog on my iPad but I left my camera in Lee's car. Darn no photos to keep me busy. Yes I also have the iPhone but don't like using either one for pictures. I did take the one above of one of the workers way in the back. Not such a good zoom. You realize that the renewal could have easily been taken care of online but I needed my driver's license now!